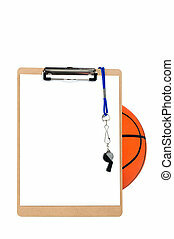 Blank clipboard and coaches whistle. 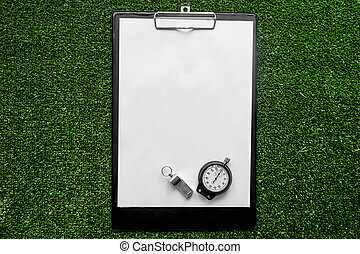 A blank clipboard and a coaches whistle with copy space. 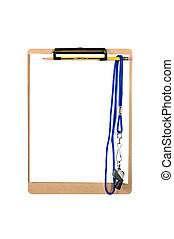 A clipboard with a clean, blank sheet of white paper and whistle hanging from a number 2 yellow pencil. 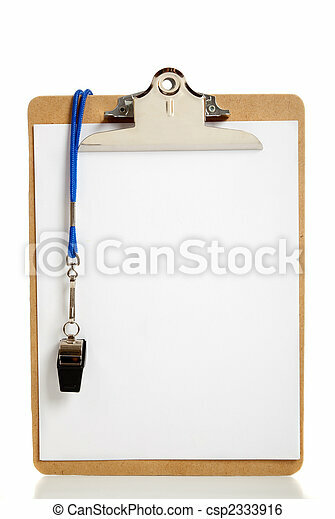 Coach's clipboard and whistle. Christmas tree miniature. Team's results of the year concept. 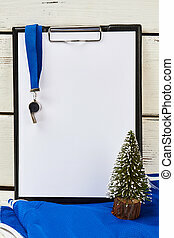 Blank clipboard with whistle on isolated white background. 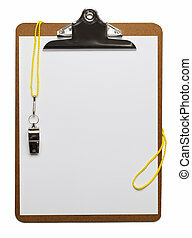 Trainer's uniform, clipboard and whistle. Notes, results and session statistics mockup. Sport training concept. 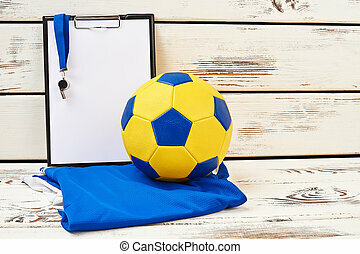 Soccer ball, clipboard, whistle and uniform on wooden background. Yellow and blue team colors. Football club concept. 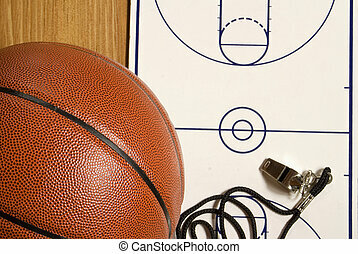 A coach's clipboard with blank sheet of paper, whistle and pencil rests against a basketball and is isolated on white. 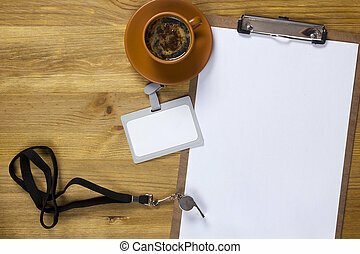 Designers can place copy on the blank sheet of paper. 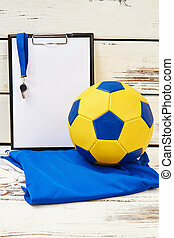 Soccer ball, uniform, whistle and clipboard. Few medals for winning a contest. 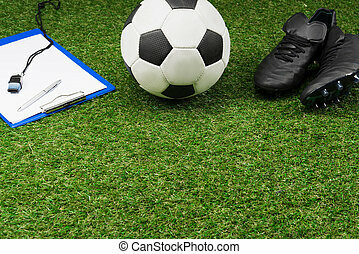 Trainer's work and sport club goals. 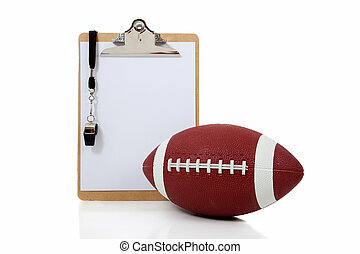 Football equipment and trainer's clipboard. 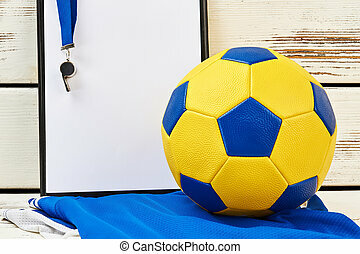 Soccer ball and t-shirt in team colors. Season results and statistics. 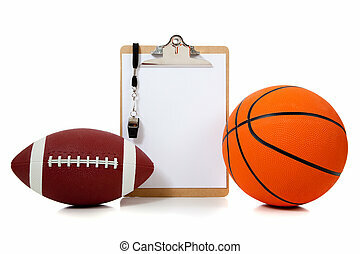 Football team's equipment on wooden background. 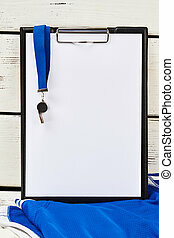 Trainer's whistle and clipboard with blank page. 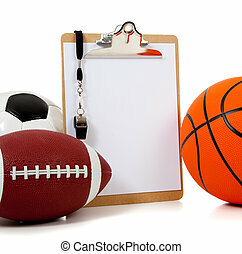 Sport games and clubs. 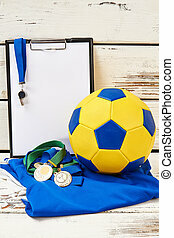 Equipment and trophy of football team. 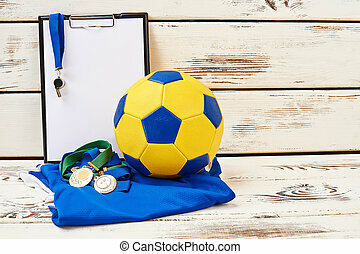 Soccer ball, uniform, whistle and medals. 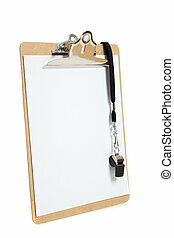 Clipboard with blank page for your text. 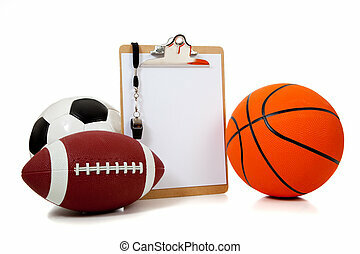 Sport equipment and drugs. Enhancing performance and cheating to win a game. 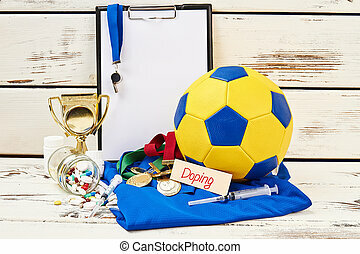 Doping in football.